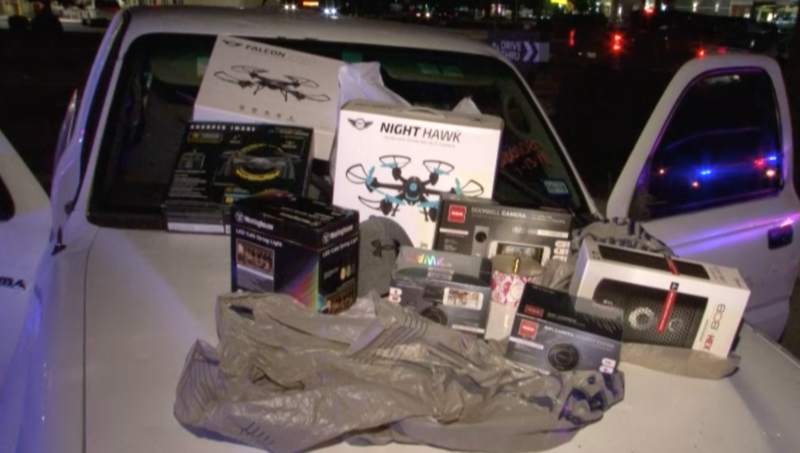 Spring, Texas – January 24th, 2018: A man led police on a 15-mile chase Wednesday evening after stealing a truck full of electronics from The Woodlands Mall. Police intercepted the suspect as he was fleeing from the mall located at 1201 Lake Woodlands Drive in Montgomery County. The chase continued southbound on 45 then onto the Hardy Toll Road, down to 1960 and eventually circled back up to Louetta & Kuykendahl where he crashed out. Investigators tell us the suspect reached speeds between 90-100 MPH during the 15-mile chase. Montgomery County Sheriff’s Office, Texas DPS, Montgomery County PCT 3 Constables, Harris County Sheriff’s Office and Harris County Precinct 4 Constables all assisted in the apprehension of the suspect. Investigators said that the man was arrested without injury to any civilians or deputies. He has been booked in the Montgomery County Jail on multiple charges.